Added by Peter Williams on 03 December 2015. Sheffield County Borough WrE. 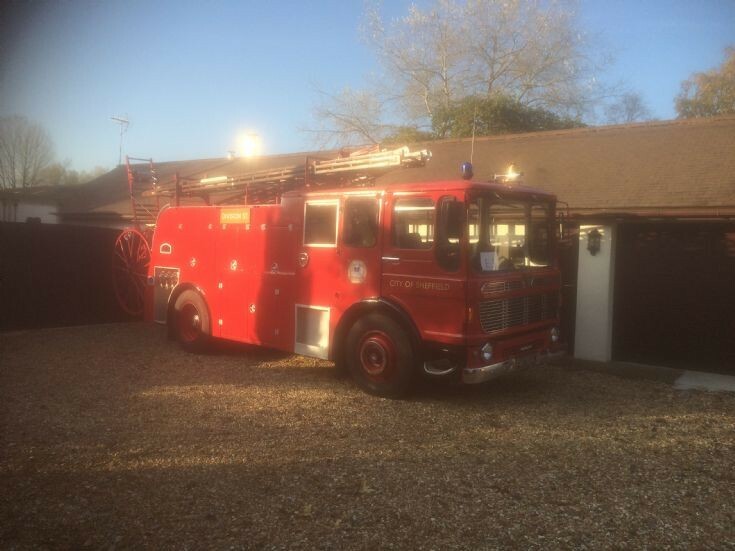 Rear pump with either side deliveries gave easier access to the pump for maintenance, still allowing for the escape, if needed later on at an incident, to be slipped whilst the pump was in action. Sheffield's earlier AEC/Merryweather appliances had midships pumps, restricting space for lockers. Had an excellent visit to Sheffield in 1973! Added by Jerry Hepworth on 13 August 2016.